Advertise.com Text, Native, Banner, Email advertising network details. 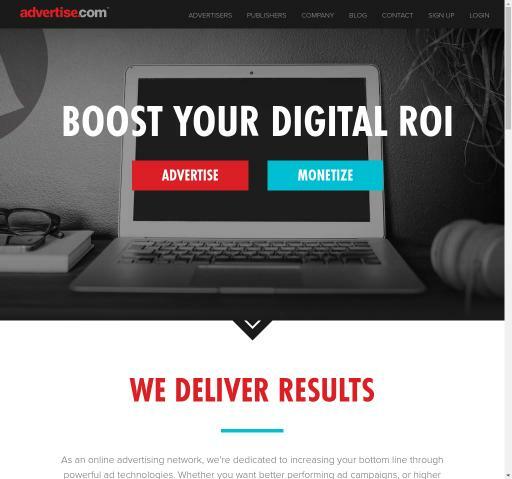 Advertise.com is a leading online advertising network that focuses on growing audience, generate conversions and maximize revenue. If you choose Advertise.com, you will get Ad Performance and Quality Traffic composed by unique users. With this platform, you will have the support of a dedicated team of experts that will help you in choosing the best campaigns and types of ads for your traffic. The Publishers of Advertise.com benefit from Push Notification products so that they can gather even more users and maximize their profits. If you have any questions before registering in the Advertise.com Network, reach the Information section for additional details. Once you create an account, you will get a dedicated account manager to help you reach your desired revenues with Advertise.com.